What a wonderful Monday! Two very good news announcements make up this week’s Post. Each of our “Pathway Project” objectives were met this year including meeting our financial objectives. I have provided news of our program successes over the past several weeks with photos included and today I am reporting on the donations and expense results. Recall, we originally set our fundraising goal at $6,500.00 and during the final couple of weeks of the campaign the goal was adjusted down to $6,200.00. A few of the planned expenses were replaced with “in-kind” services. The total amount of donations received was $6,180.00 and the total expenses amounted to $5,907.72. This left $272.28 in unspent funds which is being held over for the “Pathway Project for 2019”. The average total cost per each of the four guests is $1,476.93. It is significant to note the airfare portion made up 75% of the cost for each guest. The 25% balance ($372.00) covered three nights of hotel lodging, numerous meals, recreational/site-seeing activities, and some miscellaneous expenses (times 4) during their two-week visit. Hopefully, you will appreciate the benefit and use of the donations provided in support of this project. This year we began tracking better the level of “in-kind” support provided to the “Pathway Project”. The final report is not complete but there is sufficient evidence to see the enormous benefit resulting from this form of support. To date we have documented 15 “Friends” who have donated their time hosting the guests. One “Friend” volunteered to greet the four guests upon their arrival in Washington, DC, transport them to their hotel, to dinner, and site-seeing. Another “Friend” spent over 12 hours driving to pick up and return the guests to the college while stopping along the way for site-seeing activities. Upon arriving on campus, a different “Friend” opened her home to provide the guests a comfortable place to stay for one week. Another “Friend” covered the full cost of the catered “Reception”…and other “Friends” shared time taking them shopping, to lunches and dinners, and participated in various recreational events/activities and often paying the way. This is an extensive list of “in-kind” support that should not be overlooked. This “in-kind” service report also includes the support our partners provide. The accounting service provided by Tri-Cities Industry Kiwanis Foundation (WA) was donated and critical to our project. Then, there are many hours and financial support provided by Emory & Henry College providing the opportunity for our guests to participate in the Summer Scholars and Leadership Program. It is very difficult to put an accurate dollar figure on the overall value of the “in-kind” support but we project the potential value is significant and necessary. Both the financial support obtained from the “fundraising” efforts and the “in-kind” support combined to make this the tremendous success it has become. in Costa Rica. This shipment contains a major supply of E&H College clothing items donated to the Copey Learning Center and the community. More information on this shipment will be forthcoming but in the meantime, we are excited to have a major E&H College benefactor demonstrating a strong interest in the Copey Learning Center. 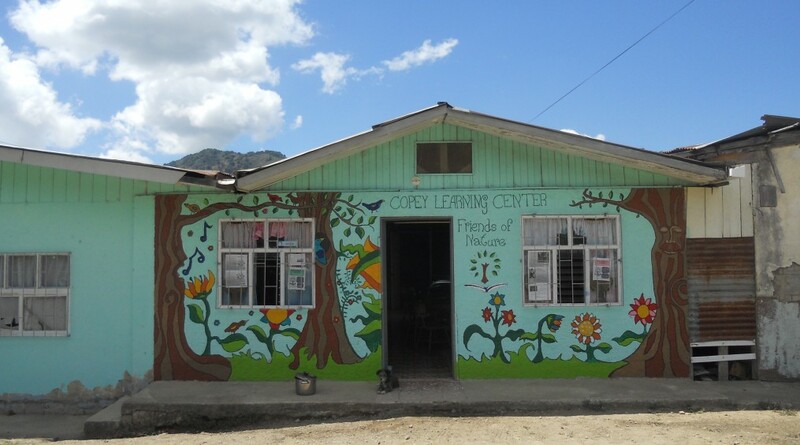 We continue to see the footprint of our college grow bigger because of the increasing awareness and support for the mission of the Copey Learning Center. We are optimistic and believe there are several opportunities to build the relationship between Emory & Henry College and the Copey community. The yearly “Pathway Project” helps build the educational relationship between students and the college. how amazing is this? Thanks to all our friends for their money, their time and their dedication, is impressive how a group of friends together can make this possible!